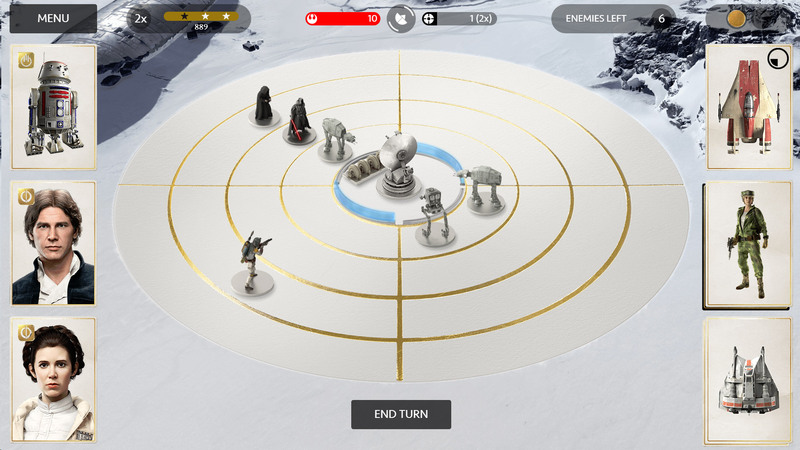 When we released the Battle Of Jakku free update, we introduced a brand-new game mode called Turning Point. The community response was amazing and due to the popularity of this game mode, we have expanded it to cover all current maps that support Walker Assault and Supremacy. In Turning Point, a 20v20 mode, Rebels forces must locate three control points in Imperial control. The clock is ticking, but if the Rebellion succeeds with a capture, additional time will be added and new control points become available. The ultimate goal is to advance to the Empire’s base where the final stand will take place, but the challenge is always increasing. We have also added another brand new multiplayer map on Hoth that supports all of our 40-player game modes (Walker Assault, Supremacy, and Turning Point) in addition to Fighter Squadron. 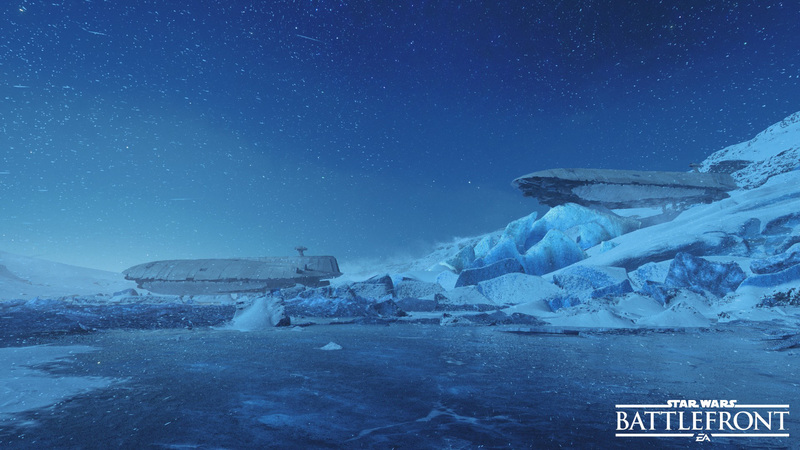 Enveloping darkness plus harsh wind and snow make the remote ice planet a new challenge for Star Wars™ Battlefront™ players. We can't wait to hear what you think about this addition. 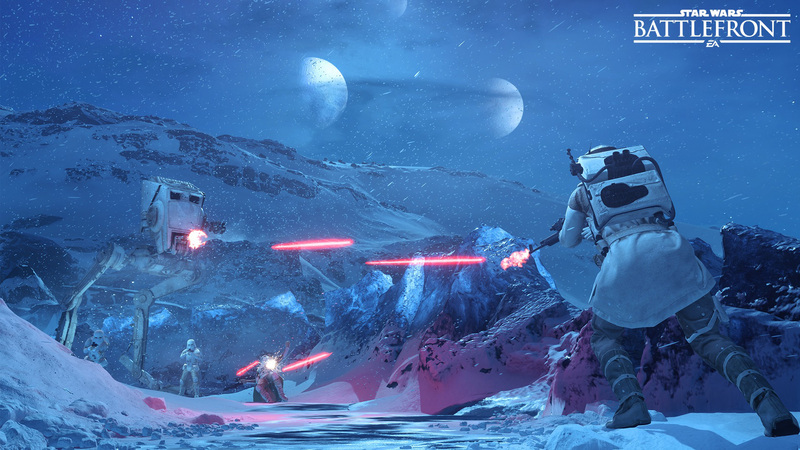 Speaking of Hoth, we’ve also added a new survival mission called Ice Caves for singleplayer and co-op gamers which tests your ability to hold off increasing waves of Imperial forces. You never know what will show up each round – AT-STs, TIE fighters, elite stormtroopers and more. Make sure to master all difficulty levels and hunt for those collectibles as this new Mission is live. Also by community request, we have combined the free Battle of Jakku content playlist into the standard playlist to allow players to be in the same matchmaking lobbies. 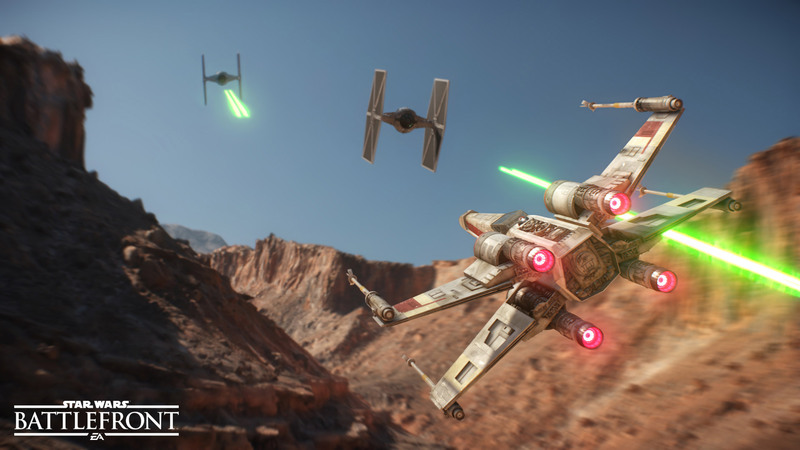 Players can now pick Battle of Jakku maps within the modes they love quickly and easily moving forward. Expect more in March including free updates and the launch of our first digital expansion pack to give you more of the content you love – more maps, weapons, and heroes, and an all-new mode. The Star Wars™ Battlefront™ Outer Rim expansion pack will allow you to fight among the factories of Sullust and battle within Jabba the Hutt’s palace on Tatooine. For more information on all our upcoming expansion packs, click here. For a full list of our February Update patch notes head on over here.